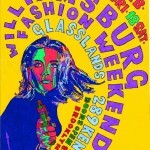 Williamsburg Fashion Weekend shows its sinister head this weekend, September 18th and 19th 2009, a mere few work days beyond the NYC glitterati fashion world’s pompous presentations. WFW may seem like the deviant teens on the scene, but make no bones about it, this fashion event is in its sixth season and still going strong. 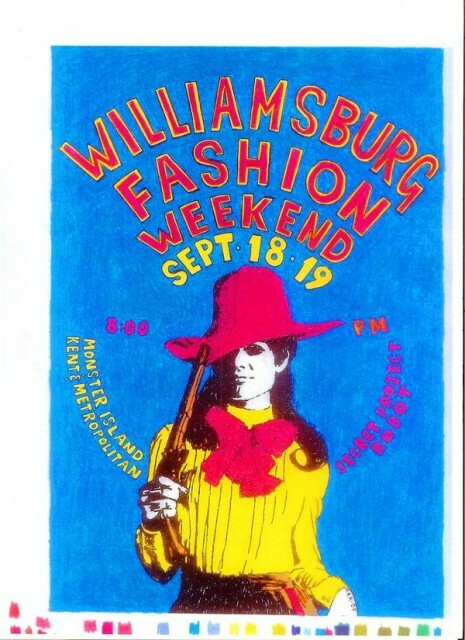 This fall, WFW will return to its roots and be held at the now-well-known, yet-still-underground Secret Project Robot space on the furthest reaches of Kent Avenue and will be hosting a bevy of alternative talent, all most worthy upon both trained and untrained fashion pores (and eyes). King Gurvy, (alias WFW founder Arthur Arbit), will once again play charismatic host to both nights of the event and present an increasingly edgy and shockingly-good roster of newfound talent from across the country. His own line, known as King Gurvy, will be shown on opening night, and is surely not to be missed. Shhh. Here now. Be patient. But…just a whisper of a preview: we hear his newest spring may feature a PVC-clad, modern-day goth model Satyr as well as some prominent peachy bits inspired by male genitalia, so what’s not to miss? Though Gurvy’s always a scene-stealer, more must-sees are newbies, Ninkybink, as well as WFW’s home-based veterans, Sodafine and Treehouse, and of course, Wild West-tinged Nettie Tiso with the Racecar! line and the elegant, theatrical and noir-inspired, classic-meets-modern, SDN. Saturday, September 19th attendees will be privy to an enviable cluster of new, and even, ahem, shocking talent. Not to be missed are lines such as the newly-formed “Noname”, featuring sinewy models wearing sustainable, barely-clad, non-orthodox to the hilt, space age costumes, as well as the perfectly-named, new arrival “Total Crap Uninc.”, and other rising stars such as Yard NYC and the mid-century-inspired Alisha Trimble. Expect some naughty Bettie Page antics this evening! 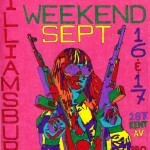 Take no prisoners, accept no substitutions (especially if it’s a sinisterly-similarly-named fashion event in Williamburg being held this same weekend). This is the edgiest show in town and you are sure to be entertained for your free online rsvp ($8 at the door).